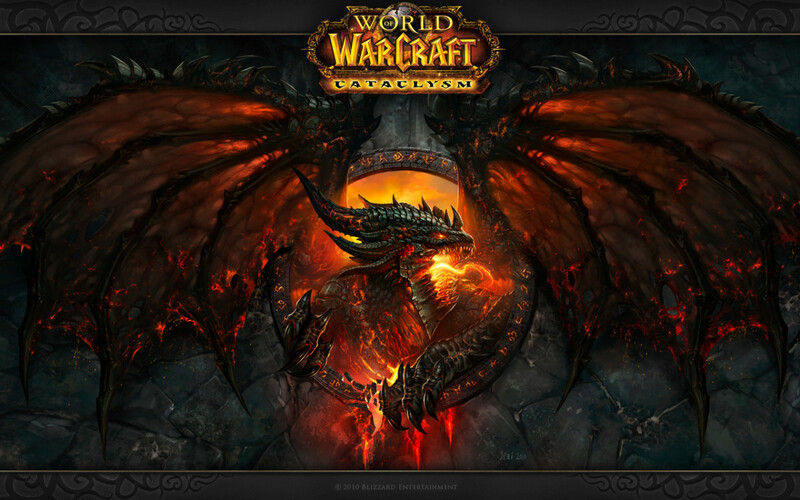 Please refer to my previous guide on healing here, How to Heal in World of Warcraft – Getting Started. So, if you've read my last article, you should be pretty informed about getting started, the importance of healing, keybindings and add-ons. In this hub I will go over each healing class and basic information on them, I’ll cover healing PvP and PvE, leveling as a healer, and share some stories about the pros and cons of healing in today’s environment. 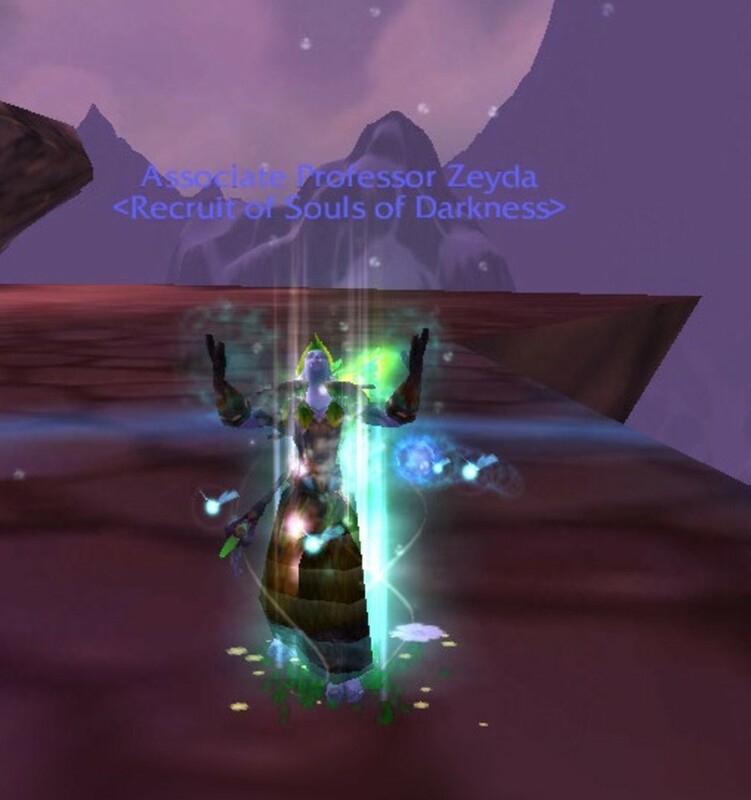 Have the changes to priests for Mists of Pandaria confused you? Check out these hubs! Please keep in mind, although I do mention spells that each class can use, that does not necessarily mean that you should use them in the order that I list. Please keep an eye out for my hub on healing with each class for that stuff. Priests are my favorite class, and my main is a priest as you may have noticed from my pictures and the way I would speak. Priests are extremely versatile and have many, many different healing spells. Priest is the only class that actually has two different healing specs: Holy and Discipline. Holy focuses on a constant stream of HoTs(Heal over time) and Heals to keep their group alive and are better suited for AoE group healing. -Example healing spells include: Holy Word Sanctuary, Holy Word Serenity, Renew, Prayer of Mending, Prayer of Healing, Flash Heal, Greater Heal, and Heal. Discipline is a little bit more focused on shields and large chunks of heals, rather than HoTs. -Example of healing spells include: Power Word: Shield, Power Word: Barrier, Prayer of Mending, Prayer of Healing, Flash Heal, Greater Heal, Heal, Renew and Divine Aegis (Which is a passive bubble, but a vital asset to disc healing). Armor Type: Cloth, and should focus on Intellect and spirit when gearing up. Paladins are also very great healers, and their designated healing spec is titled: Holy. Paladins focus 'most' of their healing on direct cast time heals, with a few instant cast heals. They use a resource known as "Holy Power" that lets them cast spells without using their mana. They have a skill called Beacon of Light that you can place on a party member, and whenever you heal someone, the person with beacon of light gets a percentage of that healing to them, as well. Paladins are also equipped with many different survivability cool-downs to help the raid out, such as bubbles that prevent a player from taking any melee damage for a short time, and remove movement impairing effects, and much more. -Healing Spell Examples: Beacon of Light (More of a buff really, but still very important part of healing), Divine Light, Flash of Light, Holy Shock, Word of Glory, Holy Radiance – AoE, Light of Dawn – AoE, and Lay on Hands. 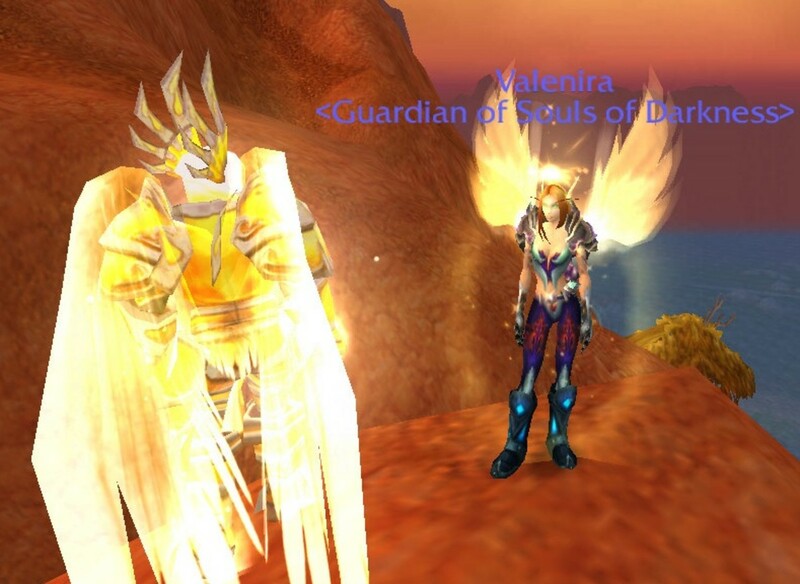 Gearing: Paladins use Plate, and gear for Intellect and spirit. Druids are my third favorite healer, and their healing spec is titled: Restoration. Druid healers focus the majority of their heals on HoTs, much like a Holy Priest. The difference is that Druids have more HoTs, and can also shape shift into animals, or in the case of a resto druid: a tree. -Healing spell examples: Rejuvenation, Regrowth, Swiftmend, Nourish, Healing Touch, Lifebloom, and Wild Growth. All of which are HoTs or at least instant cast spells, besides Healing Touch and Nourish. Gearing: Druids use Leather, and gear for Intellect and Spirit. Shamans are my least favorite healer, but that does not mean that they are bad by any means. I just simply don’t perform as well on a shaman as I do with any other healing class, I’m not really sure why. 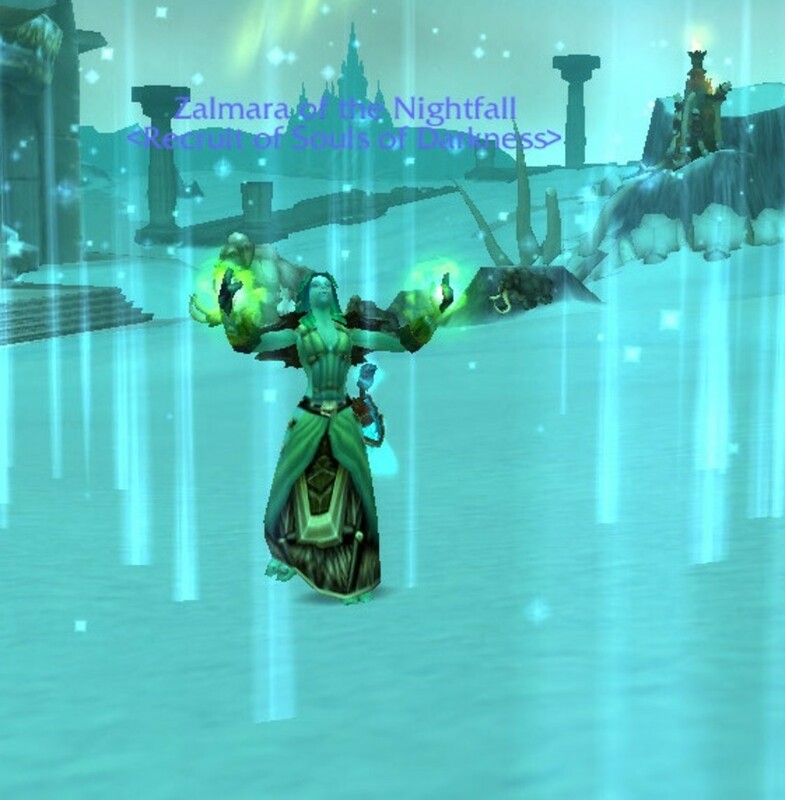 Shamans use the power of nature to assist them in healing their allies and their healing spec is titled: Restoration. They use totems as cool-downs that give different buffs to you and your raid. The way totems work changed with the Mists of Pandaria patch today, so I will not go into depth until I learn the changes, so that I don’t confuse any new players on this. Example Healing spells: Healing Rain, Healing Surge, Riptide, Healing Wave, Greater Healing Wave, and Chain Heal. Gearing: Shamans use Mail, and gear for Intellect and spirit. I made a monk, leveled it to 90, and still cannot say that I know enough about it to give my readers a valid description about them. I did not enjoy myself with monk healing like I have with other classes. Monks have a different style of healing. Like a disc priest, they can heal by dealing damage to enemies. They gain certain buffs by periodically dealing damage and its almost a necessity to keep dealing damage in order to be effective. However they also have a wide range of direct heals that can make them extremely powerful. There are many different places where you can utilize your healing skills, these places include: Dungeons, heroics, raids, Battlegrounds, Arenas, world pvp, and just randomly doing quests or outdoor stuff with your friends. 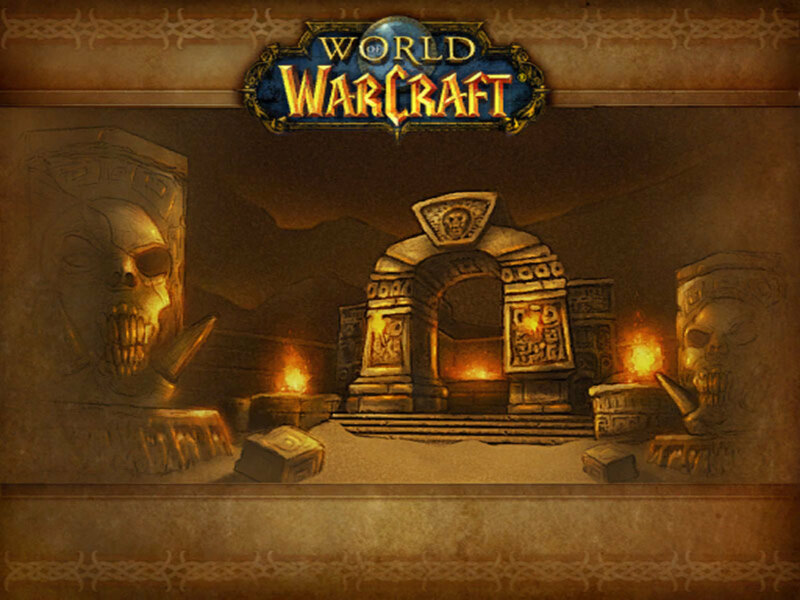 PvE: This includes Dungeons, Heroics, raids and Random outdoor activities. 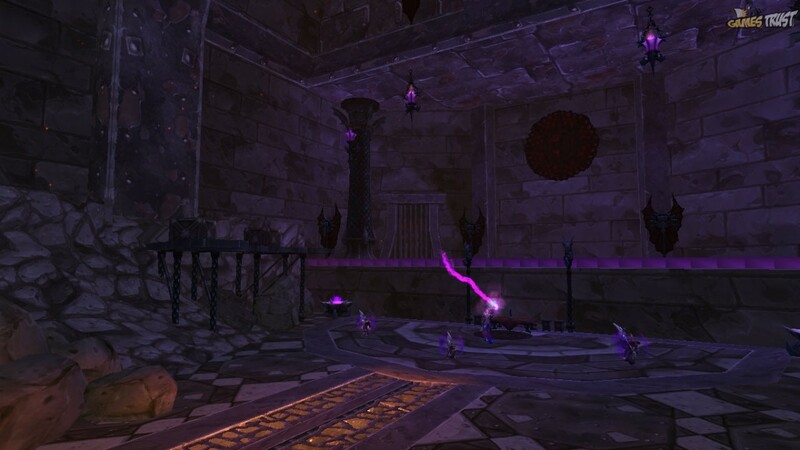 Dungeons/Heroics: These are where you unite with 4 other players and fight bosses and get loot. In these situations you are the only healer and are solely responsible for keeping your group alive. If you are scared at first, be sure to not do heroics until you do a few normal mode dungeons first to get the hang of things. 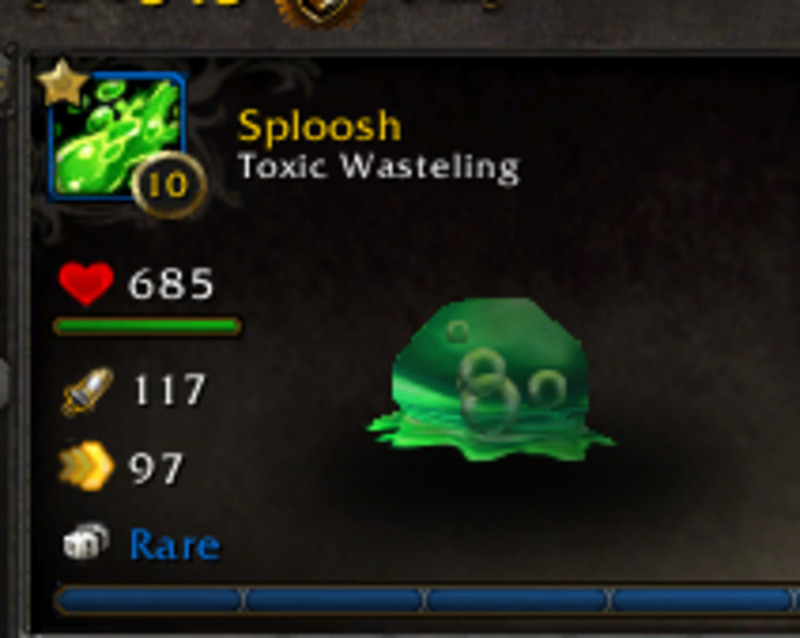 People these days are mean, and if you mess up and the group wipes, they might yell at you. You learn quickly to grow a thick skin and tough it out. Random Outdoor Activities: This includes questing with your friends, killing world bosses or for whatever reason, just following people around and healing them. You may or may not be the only one healing, it just kind of depends on what you are doing. PvP: This includes Battlegrounds, Arena’s, and World PvP. Battlegrounds: In BG’s you are normally not the only healer, and if it’s not a rated battleground, you can expect to have to take care of yourself. Random battlegrounds are less coordinated and you may not have anyone helping you, in the event that the enemy players gang up on your. Rated battlegrounds, however, are much more coordinated and a healers chance of surviving are a little bit higher because you most likely will have people watching out for you. Arenas: Arenas are where a group of people fight against the same amount of people and fight each other. Teams normally consist of 2, 3 or 5 players. And if you play as a healer on any of these teams, you are probably going to be the only healer. It is also easier to figure out the opponents healers easier, since there aren’t as many people running around, so you are most likely going to get targeted by the enemies and should be prepared for this. Leveling as a Healer can be done many different ways. 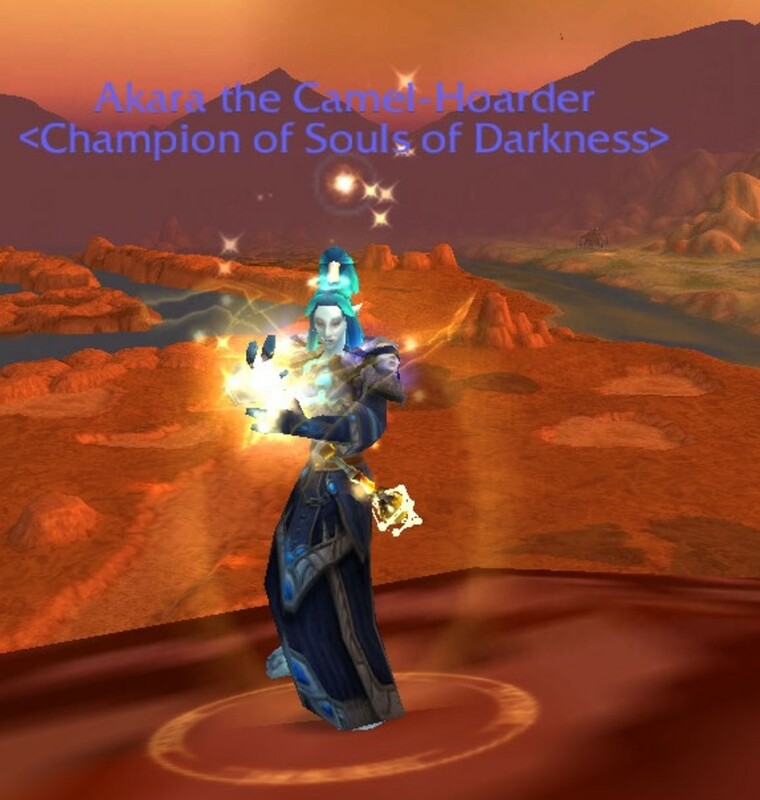 Questing: Questing can be done by a healer, but it is not preferred. I highly recommend going to your trainer at level 30 and purchasing “Dual spec” so that you can have a secondary spec for questing. Those questing specs are normally DPS specs, such as retribution for Paladins, or Shadow for priests. Dungeons: It’s much easier to level through dungeons now that they’ve added the dungeon finder system. Before, you would have to spam trade chat to find a group, and then after finding a full group you’d have to make your way to the dungeon and walk in. Now you can just queue up and wait for the pop up to say your dungeon is ready. It’s very much possible to level up through dungeons. When I hit level 80 on my priest, I believe I had only completely less than 75 quests. I had done enough quests and killed enough mobs to get to level 10-15, and from then on I only did dungeons and healed. It took me a while but I would sit in trade looking for a group and only did that. It was very slow, but don’t let that scare you, because its much faster now. When you queue up for a dungeon and zone in, 99% of dungeons now have quests for you to complete for doing the dungeon, which adds on to your experience gained. Not to mention you get a bonus to experience from just completing a random dungeon. This is the alternative to use if you do not like questing at all. 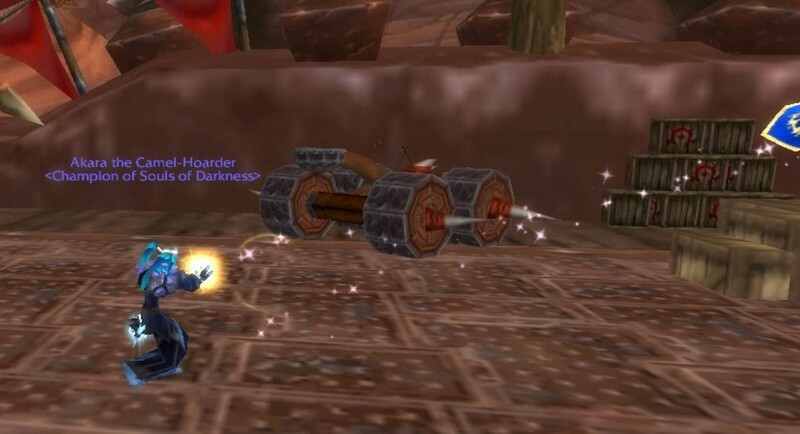 This is not my preferred way to leveling, but it’s great for those of you that do enjoy pvp. You can queue into Battlegrounds at level 10, and can get experience from winning and losing, however winning provides an increased amount of experience. You also get a boost to your experience when you do a battleground on its holiday weekend. -If you enjoy healing, it’s fun for you. Everyone loves to have fun! -You get an exhilarating feeling after you heal a group through a very tough situation, or finally help kill that boss that your guild has been stuck on. -You get that awesome feeling when people tell you what a good job you’ve done. -The obvious: If you do not enjoy healing or are bad at it, it will not be fun for you, thus, a con. -No matter how good you may be, if you happen to make a mistake, there is a chance that the players in your party will blame you for it and start calling you bad; even if it wasn’t your fault. If your interested in short stories AND world of warcraft, check out my short story I made about my hunter! Speaking of cons, here’s a story that personally happened to me when I had just hit level 85. For those of you who are already playing, I’m sure you know about the Heroic Dungeon Blackrock Caverns. The second boss requires you to stand in the beams so that the adds do not evolve and smash your face in. To set the scene for you: I had just hit level 85. I had a few blues on from previous regular dungeons, but I don’t think I had any heroic gear yet, however my healing was perfectly fine for heroics. I had queued up for a heroic, and got put into Blackrock Caverns with a guild from another server. This guild consisted of a paladin tank, 2 paladin DPS, and a warrior DPS. All melee. They come in saying they wanted to do achievements, I said okay, let’s give them a shot. The first boss went okay; we killed him after one try. I forgot if we got the achievement that time or not, but either way I do remember that the tank was taking an obscene amount of damage. We get to the second boss, and if we weren’t trying for the achievement I would have considered this all melee group to be a problem. I can handle a beam by myself, and the fight wouldn’t have been a problem if the tank would have positioned himself in between the other two mobs so that the other dps could stand in the beams. I had assumed since they were in a guild, and had announced that they wanted to do the achievement, that they had already had things planned out. One of the DPS mentioned the achievement, and told me to let one evolve after a little while. So… when the fight starts, I stand in a beam and let it get to the required stacks, and then step out. So, instead of stepping back inside the beam I let it evolve so that we can start the achievement. I prepare for the incoming damage and spam heal the tank. Then, I suppose the guild members weren’t paying attention, one of them gets evolved himself, and the other add gets evolved. So we have 3 giant evolved minions attacking us, and at that gear level, I couldn’t handle it, so we wiped. “We aren’t going to do the achievement”, says the tank. So I reply “Okay fine then”. And we continue to the boss. Once engaged, I go to my assigned add and stay in the beam, I move out when its time, and move back in when its time. However, the guild members fail to do their job, and both of the other adds evolve. I type out that the DPS needs to burn the boss quick or kill the adds, but at the same time, another person got evolved and we wipe. I wasn’t even able to walk back into the dungeon before they all said “Bye fail priest” and kicked me from the group. It’s moments like those that make me want to stop healing, but I never do, because I know that it wasn’t my fault. If I have not mentioned something in this thread that you have a question about, feel free to message me or comment below and I will answer for you! HoT: Heal over Time – This is how a healing spell is classified when you cast it once, and it continues to heal for the next few seconds without you haven’t to do anything else. AoE: Area of Effect – This is how spells are classified when their spell effects everyone in a certain range. Such as, putting a healing circle on the ground, it heals everyone in that circle. This is called a healing AoE. A DPS activates a spell that does damage to everything around them or in a specific location, this is called a Damage AoE. PvP: Player versus Player – This is where players engage in combat with other players to defeat one another. PvE: Player vs. Environment – This is where players combat against computer generated enemies to fight against you. This could be considered fighting animals for quests, or participating in dungeons and fighting bosses with your friends. Druids are very fun to play! I just can't get the hang of a shaman. I mean... By no means am I bad at playing them, I just 'feel' underpowered, I guess, when I play them. But Like you said with Paladin, I'll be giving her another shot with the changes and see how I like it.